For harvesting there are many different situations and domains. For many of these domains Linear Technology has specialized chips. 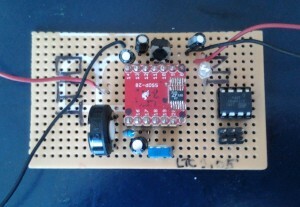 Buck1: LTC3588: This circuit takes care of positive/negative input (piezo). I bought the LTC3588 from Farnell, but I had to solder the connections with a magnifying glass. You need an inductor and some capacitors to go with it. 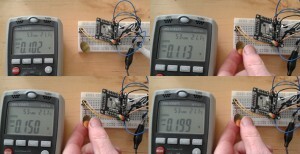 The chip can be used to harvest energy to a certain point, at which a microcontroller can be waked up from sleep mode. Then you have a bit of energy to do something before going into sleep mode again. 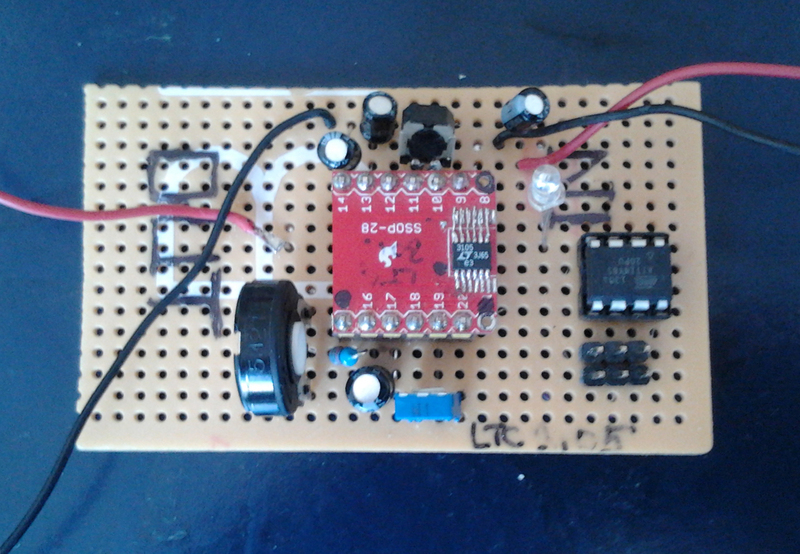 You can send a sensor value with a transceiver for example. 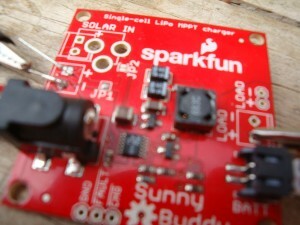 The second IC, LT3652 is incorporated in the Sunny Buddy board of Sparkfun. This chip has different properties than the LTC3105. It needs more voltage and power (starting only at 6V up to 20V) and its ambition is to charge a lipo battery. 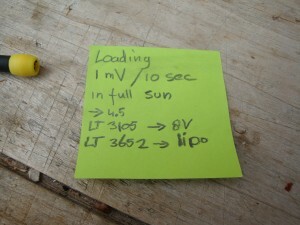 For harvesting this amount of energy in a lipo is enormous! It will take quite some time to charge the lipo. This chip has automatic MPPT. 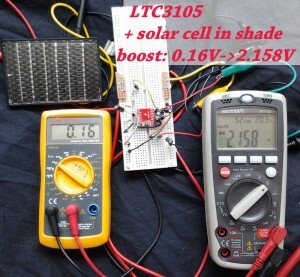 This IC is for use with solar cells. It takes care of clouds: once started it stays on producing the set voltage between 1.2 and 7V by using a boost circuit. MPPT is functioning on a preset voltage. There is also power to feed a Attiny85. 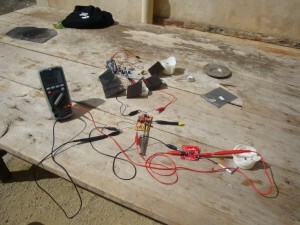 MPPT stands for Maximum Power Point Tracking and tries to reach the optimal energy point in exploiting solar cells. 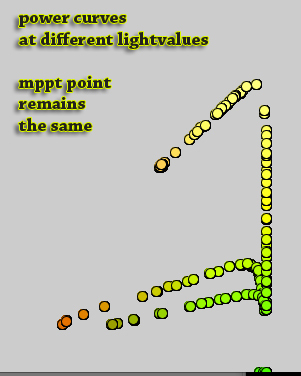 Below a picture of manual MPPT point exploring. There is an arduino with 2 inamps connected to analog pins. 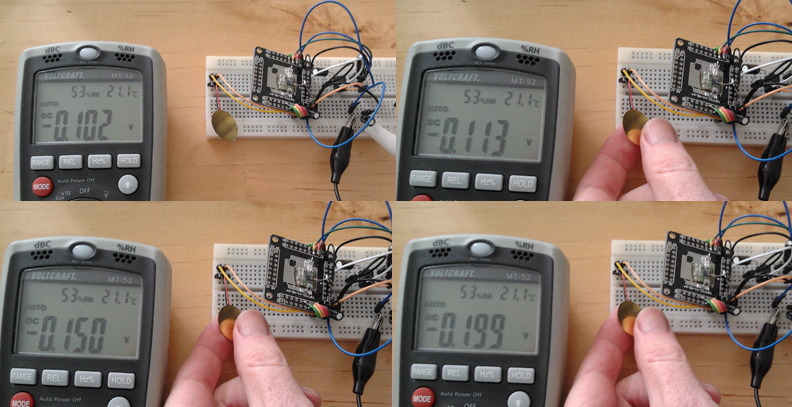 With a serial connection the arduino sends data to Processing, which plotted the above graphs. 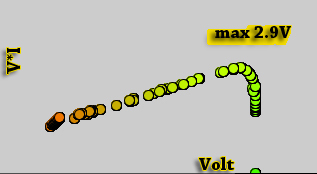 The load can be regulated using a potmeter. For the graph you have to use the computer. 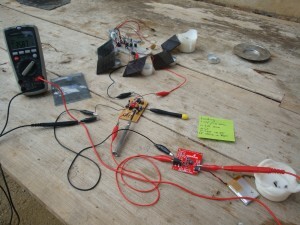 But there is a stand alone possibility totally self powered! 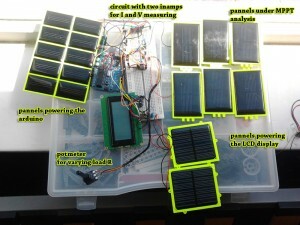 The LCD connected to the arduino (both powered by solar cells) shows the maximum value. Still, a diagram is more convincing, showing a real maximum. Setup with a self powered MPPT analysis: the arduino is powered by the left solar cells, the display by the lower cells, and the cells on the right are investigated. 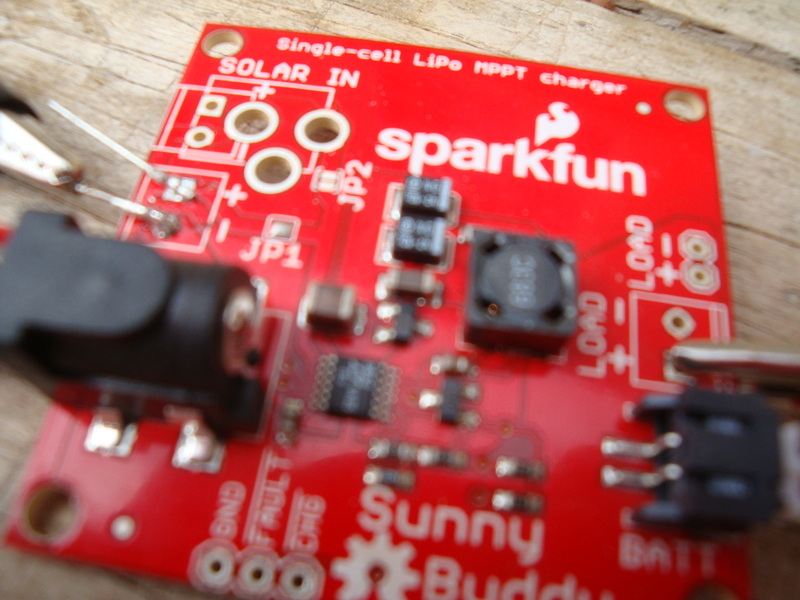 as you can see there is an attiny85 attached which can indicated if the power provided is sufficient for the chip to function (amongst others).